Ho sentim, aquesta entrada està disponible només en Espanyol Europeu y Basc. For the sake of viewer convenience, the content is shown below in this site default language. You may click one of the links to switch the site language to another available language. El evento es organizado por la Fundación Mundubat y promovido por la Red Solidaria contra la Ocupación de Palestina (RESCOP). 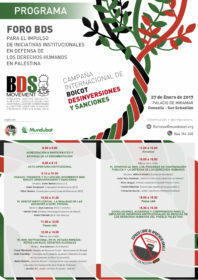 Con la participación del co-fundador del movimiento BDS, Omar Barghouti, y la coordinadora europea de la Campaña, Riya Hassan, el Foro BDS reafirma el derecho de los municipios, diputaciones y cabildos a lanzar campañas de boicot a Israel y vincular la compra pública de productos y la contratación de servicios al cumplimiento de la legislación internacional y los Derechos Humanos. En el simbólico Día Internacional de Conmemoración en Memoria de las Víctimas del Holocausto, se alza la voz por las víctimas y a favor del cumplimiento del derecho internacional de los derechos humanos, normativa que supuso la cristalización de la humanidad por evitar nuevas atrocidades. 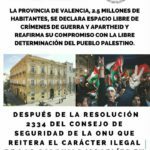 El encuentro reúne a más de cincuenta representantes públicos de entidades locales de todo el Estado español con el objetivo de diseñar estrategias comunes para la defensa de los Derechos Humanos en Palestina. 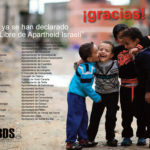 El Foro BDS para el Impulso de Iniciativas Institucionales es un primer paso hacia la creación de la Red Estatal de Municipios ELAI (Espacios Libres de Apartheid Israelí) por la Defensa de los Derechos Humanos . 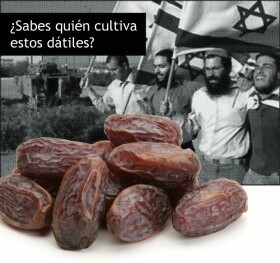 En este contexto, el Foro BDS representa la primera ocasión en la que entidades locales que respaldan la Campaña ELAI, estarán con otros representantes públicos de diez comunidades autónomas del Estado. Debatirán las diferentes estrategias para profundizar su compromiso por la defensa de los Derechos Humanos y frenar las prácticas que desde el lobby israelí amenazan con socavar la democracia local, y ponen en riesgo la libertad de expresión. 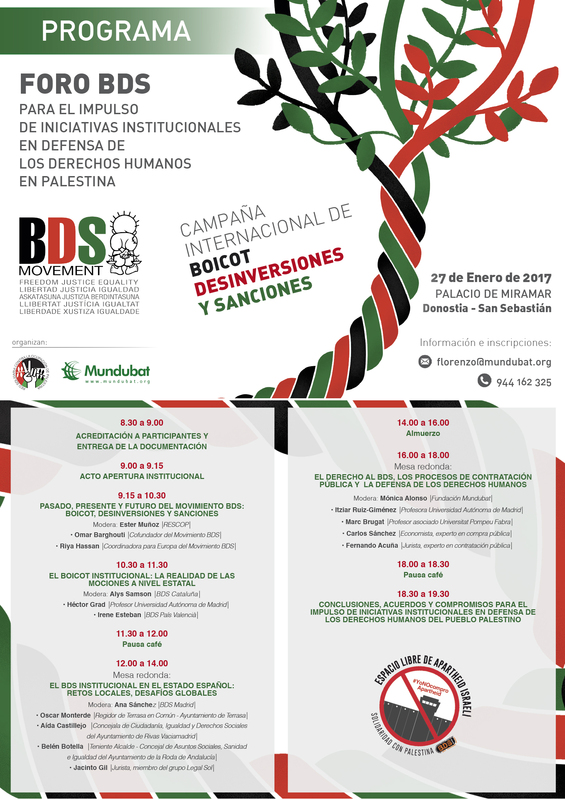 The BDS Forum to Promote Institutional Initiatives in Defence of Human Rights in Palestine shall be held from 8:30 on Friday 27 January 2017 at Miramar Palace, Donostia-San Sebastian. The event has been organized by Mundubat Foundation and is promoted by the Solidarity Network against the Occupation of Palestine (RESCOP). With the participation of the co-founder of the BDS movement, Omar Barghouti, and the European coordinator of the Campaign, Riya Hassan, the BDS Forum reasserts the right of provincial, municipal and town councils to launch campaigns to boycott Israel and link the public procurement of products and services to compliance with international law and Human Rights. On the symbolic International Day of Commemoration in Memory of the Victims of the Holocaust, a voice is raised for the victims and in favour of compliance with International Human Rights Law, which implied the crystallization of humanity to prevent new atrocities. The meeting held in Donostia-San Sebastian shall bring together more than fifty representatives from all over the Spanish state in order to devise some common strategies to defend Human Rights in Palestine. 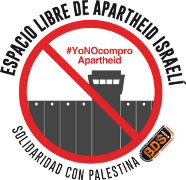 The BDS Forum to Promote Institutional Initiatives is a first step towards the establishment of the State Network of ELAI (Spaces Free from Israeli Apartheid) Municipalities in defence of Human Rights. The Boycott, Disinvestments and Sanctions (BDS) campaign is an international Human Rights movement led by the Palestinian civil society which claims freedom, justice and equality for Palestinian people. The BDS seeks to generate sufficient international pressure to make Israel comply with International Law. 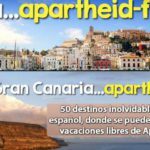 Since 2014, one of the greatest successes of the BDS Campaign in the Spanish state has been the implementation of the initiative Spaces Free from Israeli Apartheid (ELAI). Through the approval of motions in solidarity with Palestinian people, 60 town, city and provincial councils have joined the BDS. This is an unprecedented movement at the global level. This achievement has brought about the reaction of Israel, which responded with legal, political and media attacks against those town and city councils which approve motions in support of Palestine, together with slander and threats to activists, institutions and public representatives so as to deactivate the strategies to boycott Israel. Israel’s offensive hides behind the figure of Zionist organizations which, with complete opacity, operate in our country and attack civil liberties and threat local democracy and sovereignty. In this context, the BDS Forum represents the first occasion on which local organizations which support the ELAI Campaign shall meet with other public representatives from ten autonomous communities of the state. They will discuss the various strategies to go further into their commitment to the defence of Human Rights and to restrain the practices by the Israeli lobby which threaten to undermine local democracy and jeopardize freedom of expression. 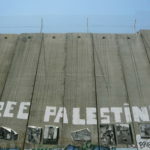 The attacks induced by Israel against the BDS movement include pressing governments, legislators and officials to combat the activities of the BDS by implementing repressive measures, which involves a threat to civil and political liberties as a whole. 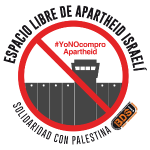 In the Spanish state, Israel promotes the criminalization of the BDS movement by taking human rights defenders to court. It is an attempt to silence the voices which criticize the occupation and the international crimes of Israel, a system of apartheid. More than 350 European human rights organizations, trade unions, groups of churches and political parties have requested the European Union to defend the right of citizens and organizations to boycott Israel as a response to the occupation and violations of the rights of Palestinian people. Representatives from the Swedish, Irish and Dutch governments have publicly defended the right to defend and fight for the rights of Palestinian people, under International Law, through the BDS. Moreover, Amnesty International, the International Federation for Human Rights (FIDH) and more than 30 Euro-MPs, including Federica Moguerini, High Representative of the European Union for Foreign Affairs, have condemned the attacks to human rights defenders and have confirmed the right of European citizens to Freedom of Expression and Association, including their participation in the Palestine-led Boycott, Disinvestment and Sanctions (BDS) movement.